I've been a yogurt lover for some time now and what a way to enjoy two of my favorite things in the world. 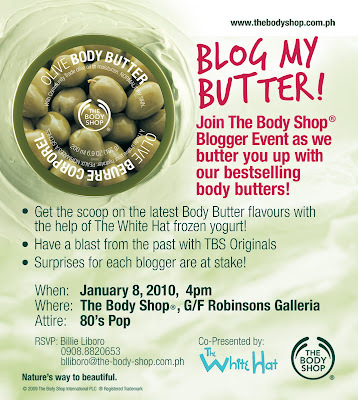 Come join me and let's have some 80's fun at The White Hat Robinson's Galleria, 4pm on January 8, 2010! P.S. If I can't go (because of work) please please blog about the event so I can feel as if I went there as well!